An employment website is a web site dealing specifically with employment or careers. Many employment websites are designed to allow employers to post job requirements for a position to be filled and are commonly known as job boards. Other employment sites offer employer reviews, career and job-search advice describe different job descriptions or employers. Through a job website a prospective employee can locate and fill out a job application or submit resumes over the Internet for the advertised position. Info Edge is India’s premier on-line classifieds company in recruitment, matrimony, real estate and education. The company has a bouquet of websites and associated businesses in each of these segments. They are, FirstNaukri.com, JeevanSathi.com, 99Acres.com, Shiksha.com, PolicyBazaar.com, QuadrangleSearch.com, Brijj.com and many more. The Company was incorporated on May 1, 1995 under the Companies Act, 1956 as Info Edge (India) Private Limited. and converted into a Public Limited on April 27, 2006. Info Edge has established and currently maintains a network of 48 offices located in 31 cities throughout India. These offices primarily engage in sales, marketing and payment collection activities for the businesses. 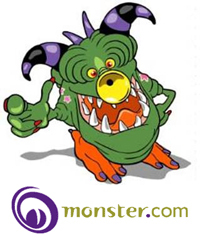 MonsterIndia.com is a Flagship Brand of Monster Worldwide, Inc. (MWW). It is a Leading online global careers network and was Founded in 1994 by Jeff Taylor. Monster has its presence in 50 countries worldwide. Monster helps you to Search hundreds of thousands of jobs, build and post your resume and access thousands of pages of career info and advice. You can Get instant access to today’s most powerful hiring tools – post jobs, search resumes, screen candidates and streamline your entire hiring process. If you are thinking about a new job, new career, a new city or a new direction, Monster helps you explore the possibilities and find the opportunities that are right for you. Times Business Solutions (TBS) is the “Life Interactive” arm of the Times Group. They seek to provide the users with support, assistance, and guidance throughout their life, with their interactive media. This is done by providing innovative platforms for internet users across the globe to assist them in every aspect of their lives. TimesJobs is ahead of Naukri in Mar’11 in ‘Total Unique Visitors’ and finishes the FY as Rank 1 in the Jobs category in India. It is thus the most popular Employment Website in India and is helping people attain a better livelihood. Shine is brought to you by Firefly e-Ventures Ltd., a 100% subsidiary of HT Media. Firefly is HT Media’s latest initiative that will be focussing on building brands and businesses in the new media space. HT Media Ltd. is one of Indias largest and most respected names in the media industry, with a wide circulation and dedicated reader base. With brands like Hindustan Times, Hindi Hindustan, it combines an 84 year old tradition of ethical journalism with progressive business practices. Its latest brand, Mint, which is a business paper created in partnership with Wall Street Journal, has quickly earned a reputation for itself as a refreshing and well-researched newspaper. 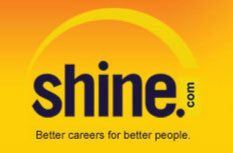 Shine is about better and efficient recruitments. Finding a dream job is like finding a pearl in an oyster. With the increasing competition, every business entrepreneur wants to hire gems of the profession. At the same time, job seekers also want a destination where they can whet their skills. Catering to the needs of both, Placement India is transforming million dreams into reality. Established in the year 1997, PlacementIndia portal is managed and owned by Weblink.In Pvt. Ltd, chief name in the kingdom of development, web designing and e-commerce solutions. Supported by an unbeatable experience and deftness, Weblinkindia.net Pvt. Ltd has engraved its indelible name. Weblinkindia.net has come up with flying colors in every project they have undertaken. Founded in the year 2000 by Mr. L.N. Agarwal – Alumni of BITS Pilani and VJTI, with corporate experience in companies like L&T, Telco and IBP – Careerkhazana.com has grown significantly to be ranked among the top job portals in the country. Every organization, large or small, needs to adapt and succeed in a fast changing environment. And CareerKhazana aims to provide a platform for exactly that purpose. A professionally managed portal, CareerKhaazna has a huge data bank with over 1.5 lack hits per day.Employers and prospective candidates also get to enjoy a host of other benefits by registering with this site. They can apply to the wide-ranging jobs available through our free job search facility. Freshersworld.com has a simple mission. To facilitate fresh graduates find first dream jobs! India currently churns out over 4 million graduates annually and most of them are eagerly scouting for their first career break. The services of FreshersWorld exclusively cater to the needs of fresh graduates and we deal with companies who recruit them. Freshersworld.com was founded in the year 2000 when the internet industry was just making its way to India and it has grown with time and experience. In this journey, it has helped more than 500,000 graduates find their first dream jobs as FreshersWorld well connected with an active network of more than 4000 companies. It is among the top trafficked websites from India amassing more then 30 million page views per month. CareerAge.com was envisaged in 1996, when Internet was still in its infancy in India and the portal was formally launched in Dec 1999 with the objective of making available the Jobs and Career Information on the Internet. Today CareerAge.com is India’s most comprehensive Jobs & Career Portal helping students, Career Builders by providing highly researched and detailed information about various Career Choices. CareerAge.com is conceived, designed and promoted by professionals who have extensive experience in the areas of Information Technology and Human Resources. KoolKampus.com is a leading jobsite in India. It has details on various job opportunities and links to networks like KyaPoocha.com, KoolKareers.com and CampusCrashCourse.com, which include interview tips and questions and also online tests. These mock tests are very necessary for a candidate before sitting for an aptitude test. The path to success will be shortened to a great extent, if a candidate takes help from KoolKampus.com. Apart from the above facilities, KoolKampus has a team of professionals who will guide you to take up career oriented decisions. KoolKampus.com is the sure way to success for young aspirants. Other popular Job Sites in India are Naukri24x7.com, NaukriHub.com, TopIndiaJobs.com, JobsEmpire.com, CarrierBuilder.co.in, JobsIndia.com, FreshersDreams.com, IndianJobsOnline.com, NaukriForWomen.com, Jobspert.com, JobsDecade.com, TrueNaukri.com, DelhiJobFinder.com, ChetanasForum.com, CyberMediaDice.com, RozgarDuniya.com, Chaakri.in, ClickJobs.com, WalkInsIndia.com and many more.